If this new project, hyped as one of the great literary reveals of our time, cannot help us find Salinger, what can? Oh my. A few observations. a.) Find basic foundation of novel rather misbegotten from the get-go. Why would a fetal inhabitant of what in Japan is called the “water world” be so caught up in the tiresome and mundane world of wine, food, and cheap politicians? They’ve got spiritual swimmin’ to do, under the watchful eye of Jizo! b.) Entirely apart from any technical aspects, I found the author’s point of view repellant. Is it a matter of taste? Preciosity? Lack of, for want of a better word, “gravitas?” Here you have the creation of human life itself, the in-between. A place of life and death, of issues of sovereignty over the female body, of “murdered babies” and “abortion on demand without apology.” The smell of gunpowder from a Planned Parenthood office shooting hangs over this scenario. But what do we have in this novel? We have the genesis of human life employed as a cutesy aesthetic device. The novel brought to my mind a gourmet stew, prepared with great skill and the finest of ingredients, but then served in a human skull. Regardless of the quality, repellant. c.) Finally, can’t separate out book itself from some other author comments in the Wall Street Journal recently. McEwan, in what appeared from the printed word to be a somewhat “sniffy” manner, commented that pro-life/abortion issues or themes weren’t even on his radar while writing this, that the whole matter was “settled” in Europe and, in fact, this was something that only “Americans” would bring up. I can’t help but think this is either an epic troll or a narrowness of viewpoint that leaves me stunned. The fact that I was reading about this simultaneously with the Repeal movement (repeal of Constitutional abortion ban)in Ireland, and the live tweet on women from Ireland traveling to Britain for abortions, and coming home still bleeding and sick, underscored how alienated I felt from his comments. Above had occurred to me more tangentially, but is yet another infuriating aspect of this novel. The “mother” here is disgustingly reduced to an apparatus, a piece of clothing, a wine filter, a “carrier.” This, in fact, is quite in keeping with some of the very real views of some of our more right-wind American politicians and there would-be plans for American women’s bodies. You’re as irritated by McEwan in this one as I was by his “Saturday”, the most condescendingly propagandistic piece of pro-Iraq-invasion crap of that era (not to mention being full of oily hugs for the upper-middleclasses and many corollary howlers regarding McEwan’s bête noire, the Serfs). 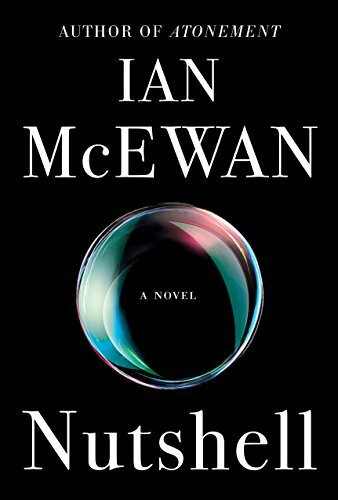 I thought “The Cement Garden” was good; I enjoyed “The Innocent”, found “Black Dogs” interesting… “Enduring Love”, for me, marked the beginning of McEwan’s long decline (the first chapter of that book was the last decent piece of writing out of him, IMO). “On Chesil Beach” was dire. “Atonement” reads like a wicked parody of “fine writing,” with all the elegance and ambiguity of an unpublished bodice-ripper: “They were beyond the present, outside time, with no memories and no future. There was nothing but obliterating sensation, thrilling and swelling, and the sound of fabric on fabric as their limbs slid across each other in this restless, sensuous wrestling.” (This must be the scene acted by Oliver Reed and Alan Bates in the movie…). Ugh… Ian is competing with book-reviewer J. Wood’s silly term “Lifeness,” for the pseudo-significance booby prize, here, eh? One comes away from Canada feeling as though a less gifted author was trying to write a knock-off of a Richard Ford novel, and has made a hash of it.